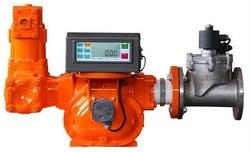 The bulk flow meter flow meter is precision made, positive displacement, liquid measuring instruments, which maintain accurate metering over long periods of operation. The simplicity of design and construction together with the sustained accuracy of an Avery Hardoll bulk meter has led to the widespread use of these meters on aviation refueling vehicles, in oil terminals throughout the world and also as master meters for use in calibration. 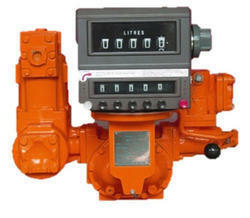 The bulk flow meter (PD meter) is a system with freely-moving blades used to measure white petroleum products such as fuels, bio-fuels and refined liquid hydrocarbons. 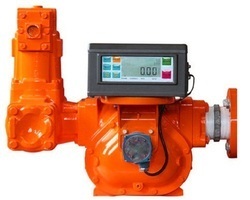 Diesel Flow Meter is a kind of velocity type liquid flow meter, it is often used to measure the volume flow rate and volume flow of low-viscosity fluid (gas or liquid) in the closed pipeline and widely used in industries like oil, chemical, metal, aviation, scientific research, etc. Used in automobile, adhesive, agriculture, asphalt, aviation fuel, animal forage, beverage, cosmetic, chemicals, concrete, dairy product, liquid fertilizer, foodstuff, oil transmit, general industry, hydrocarbon processing (Refining), LPG, lubricating oil, ocean carriage, painting, petroleum, petroleum oil products, pharmacy, printing ink, papermaking, solvent, recycle application, railway, textile and other industries. 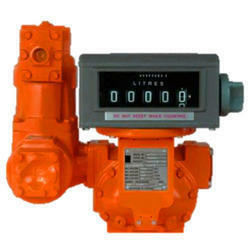 Looking for “Positive Displacement Flow Meter”?